The students spent a busy morning getting to know one another and their teachers. They took a tour of the school and enjoyed using the school games and equipment at break time. The students each completed an assessment to check that they are in the right class for their level. Class starts at 08:30 each morning, there is a break from 10:00 - 10:30 and then class from 10:30 - 12:00. Students who have signed up for one-to-one private lessons will begin tomorrow and these take place before or after their lunch. Students can spend each morning improving either their English or French with our enthusiastic teachers. This year we have 7 English teachers and 5 French teachers. We hope the students have had as much fun as we have! A big THANK YOU to all the children who joined us this year and to their families. We hope the students have made lasting memories while here at La Garenne. If you fell in love with Switzerland and would like to return to La Garenne, why not experience life here in the snow, admissions to our Winter Camp are now open! This is what some of our students have said about their LG experience over the last 6 weeks. A big thank you to our fantastic students and super teachers. Here are some class photos from our third and final summer camp. Thank you to Philippe, our talented school photographer! This morning I took the opportunity to chat with Aya Kallas who is one of our summer camp students! Aya is turning 12 in October, she lives in Lebanon with her parents and will have spent 4 weeks with us here at La Garenne this summer. Aya came to LG summer camp last year, she studied in the French section and this year she is in our advanced English class. 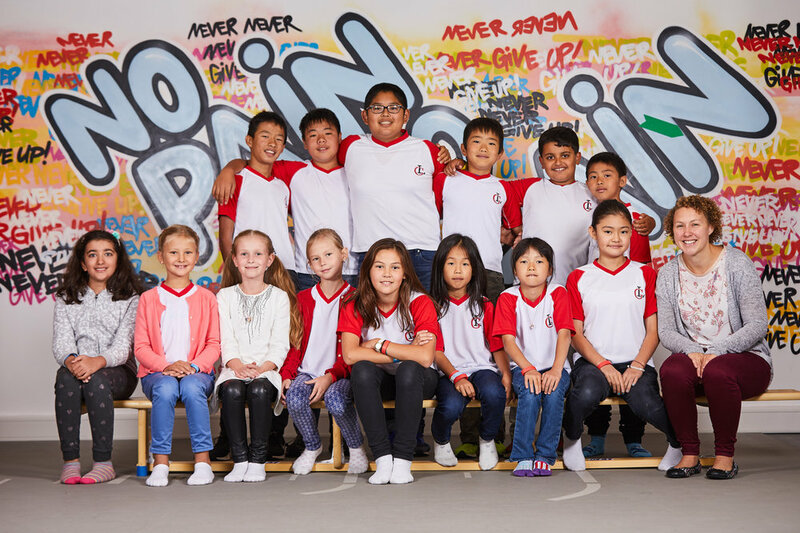 How does your life and school in Lebanon differ to life here at LG in Switzerland? My school is much bigger than LG, it is a day school and not a boarding school. 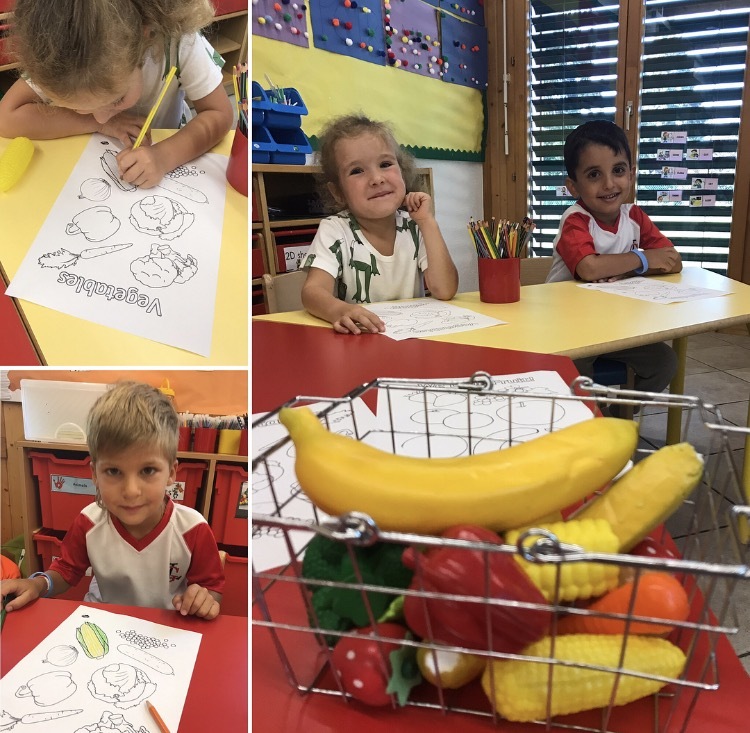 We have many facilities and it is a French/English bilingual school. Here at La Garenne in Switzerland, it is a lot greener, the air is fresh and it is very beautiful. I live in the city so there is a lot of traffic and pollution. What do you enjoy doing at the weekend? I love gymnastics and I also dance, I sometimes enter competitions. I specialise in hip hop. I really enjoy hanging out with my friends, we often walk to the shopping mall which is close to my home. I would like to be an interior designer or an architect. I think I would like to live in either Switzerland, France or Los Angeles. When I went on holiday to California I fell in love with it, there were so many activities to do there and I loved the beach and swimming pools. Tell me something people don`t know about you? What are your thoughts about LG summer camp? I love the fact that there are so many activities involving water, my favourite activity was going on the banana boat on the lake, it was so much fun! Being in the fresh air surrounded by beauty makes me feel lucky. At La Garenne we are only allowed to use our phones at certain times, I actually like the rule as normally I am always on my phone and it can be very distracting. I also like having class in the morning and activities in the afternoon, it breaks the day up and I enjoy learning and working alongside my friends. The most fun happens in the evenings, when I giggle with my friends. I enjoyed working on the singing and video project, it is great fun and a good way to learn new vocabulary. Thank you so much Aye, it was great getting to know you more. It is another beautiful day! During the breaktime this morning, the children enjoyed playing and speaking with each other and also taking the time to bond with our wonderful teachers and staff. Learning doesn`t just take place in the classroom. The children have been busy this morning. In the beginner English class, the children enjoyed reading the book, Handa`s Surprise. 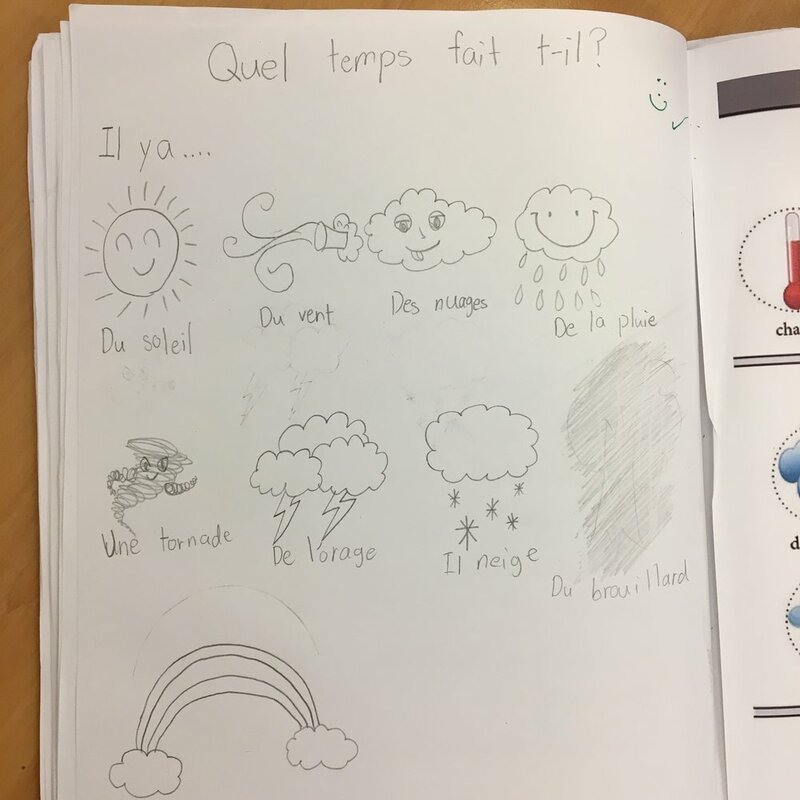 The book took them on a journey and was used to reinforce the new vocabulary learnt in class. En section française ce matin nous avons étudié les animaux puis chacun a parlé de son animal préféré et l'a dessiné. Some of the children have private lessons during the summer camp. Parents can sign their child up to have extra one-to-one support in English or French. The lessons take place for 30 minutes at lunchtime with our class teachers. Making learning relevant to children is fundamental. Giving children opportunities to contribute to an activity increases their motivation and confidence. We try to encourage the children to be actively engaged in the learning process, interacting with the teacher and each other. En section française nous avons étudié le vocabulaire des cheveux et nous en avons profité pour changer de style ! Look at the beautiful view from our classroom windows! The sun is shinning and the students are smiling, learning, making friends and having fun! Today the children have read the story of 'Little Red Riding Hood' and they also watched a short video clip. They then sequenced the story using pictures before retelling the story in groups using story maps. The children finished the morning by sequencing the written story and answering comprehension questions.